The Cretaceous-Tertiary extinction event, or the K-T event, is the name given to the die-off of the dinosaurs and other species that took place some 65.5 million years ago. For many years, paleontologists believed this event was caused by climate and geological changes that interrupted the dinosaurs’ food supply. However, in the 1980s, father-and-son scientists Luis (1911-88) and Walter Alvarez (1940-) discovered in the geological record a distinct layer of iridium–an element found in abundance only in space–that corresponds to the precise time the dinosaurs died. 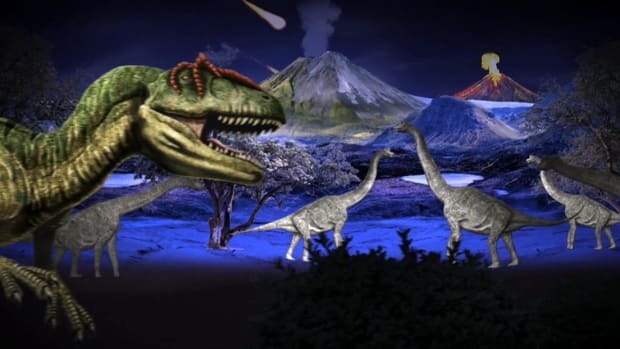 This suggests that a comet, asteroid or meteor impact event may have caused the extinction of the dinosaurs. In the 1990s, scientists located the massive Chicxulub Crater at the tip of Mexico’s Yucatán Peninsula, which dates to the period in question. 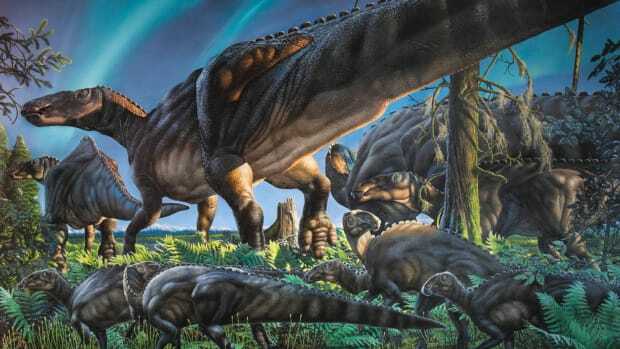 Dinosaurs roamed the earth for 160 million years until their sudden demise some 65.5 million years ago, in an event now known as the Cretaceous-Tertiary, or K-T, extinction event. 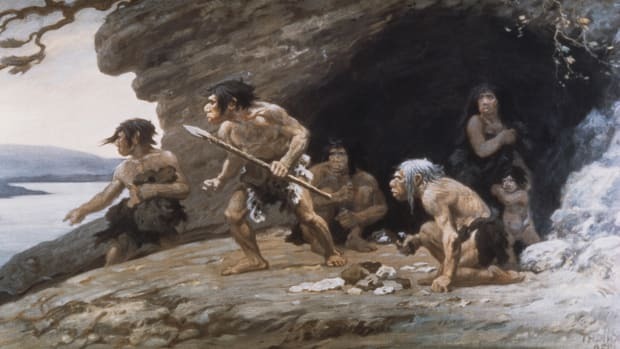 (“K” is the abbreviation for Cretaceous, which is associated with the German word “Kreidezeit.”) Besides dinosaurs, many other species of mammals, amphibians and plants died out at the same time. 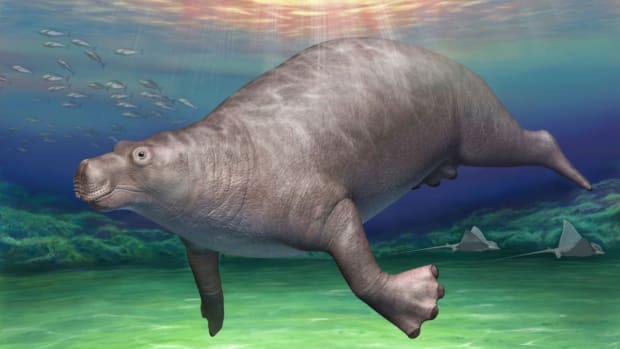 Over the years, paleontologists have proposed several theories for this extensive die-off. One early theory was that small mammals ate dinosaur eggs, thereby reducing the dinosaur population until it became unsustainable. 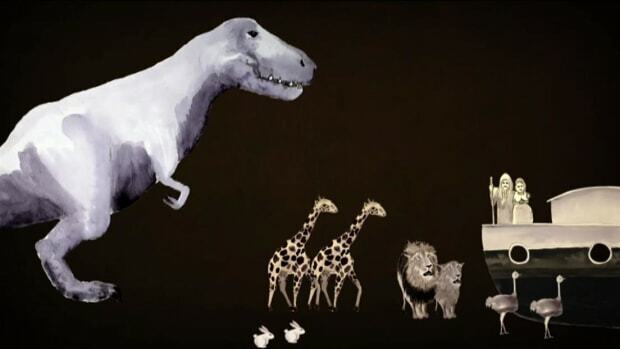 Another theory was that dinosaurs’ bodies became too big to be operated by their small brains. Some scientists believed a great plague decimated the dinosaur population and then spread to the animals that feasted on their carcasses. Starvation was another possibility: Large dinosaurs required vast amounts of food and could have stripped bare all the vegetation in their habitat. But many of these theories are easily dismissed. 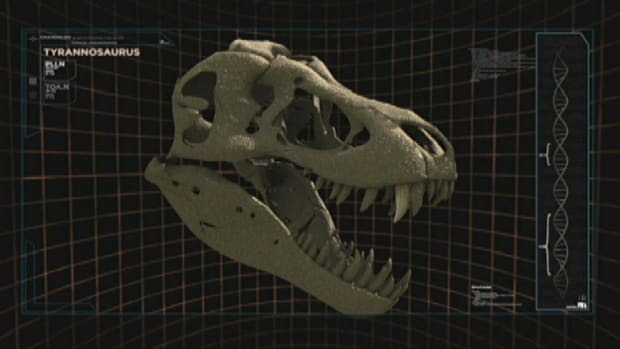 If dinosaurs’ brains were too small to be adaptive, they would not have flourished for 160 million years. Also, plants do not have brains nor do they suffer from the same diseases as animals, so their simultaneous extinction makes these theories less plausible. Did you know? 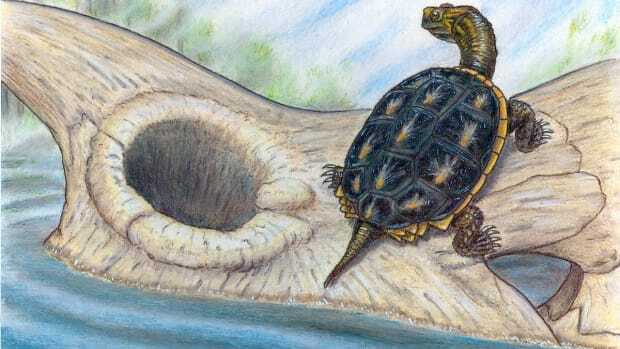 The K-T extinction was not the first such massive die-off in history, nor was it the largest. 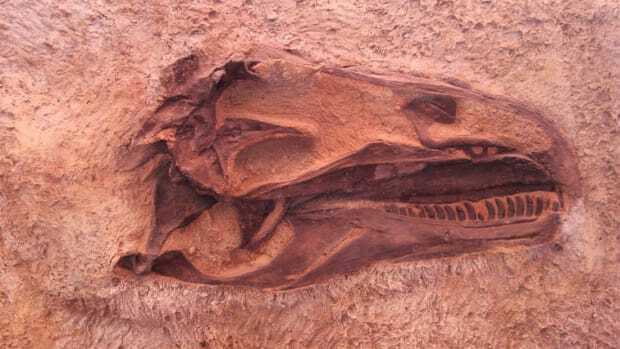 The Permian-Triassic extinction event, known as the Great Dying, occurred 251.4 million years ago and eradicated 96 percent of all marine species and 70 percent of all terrestrial vertebrates species on earth. For many years, climate change was the most credible explanation for the dinosaurs’ demise. Dinosaurs thrived in the planet’s consistently humid, tropical climate. But in the late Mesozoic Era that corresponds with the extinction of the dinosaurs, evidence shows that the planet slowly became cooler. 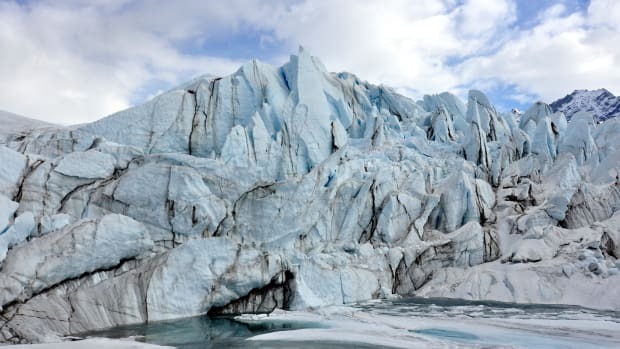 Lower temperatures caused ice to form over the North and South poles and the oceans to become colder. Because the dinosaurs were cold-blooded–meaning they obtained body heat from the sun and the air–they would not have been able to survive in significantly colder climates. Yet some species of cold-blooded animals, such as crocodiles, did manage to survive. Also, climate change would have taken tens of thousands of years, giving the dinosaurs sufficient time to adapt. Enter Luis Alvarez, a Nobel Prize-winning physicist, inventor and pioneer in the field of radiation and nuclear research. He and his son, noted geologist Walter Alvarez, were conducting research in Italy when they discovered a centimeter-thick layer of iridium-enriched clay at the K-T boundary. Iridium is rare on earth, but more common in space. The Alvarezes published their findings in 1981, postulating that the thin layer of iridium was deposited following the impact of a large meteor, comet or asteroid with the earth. 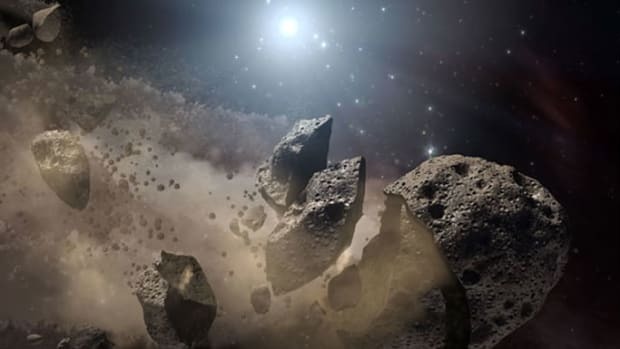 Furthermore, this bolide impact (the meteor, comet or asteroid colliding with the earth’s surface) could have caused the extinction of the dinosaurs. At the time, the Alvarez theory was so far removed from prevailing hypotheses that it was ridiculed. Slowly, though, other scientists began finding iridium evidence at various places around the globe that corroborated the Alvarez theory. There was, however, no smoking gun in the form of an impact site. Then in 1991, a massive meteor crater 110 miles in diameter was discovered on the edge of the Yucatán Peninsula, extending into the Gulf of Mexico. The Chicxulub Crater, as it was dubbed, was named for a nearby village. Scientists believe the bolide that formed it was roughly 6 miles in diameter, struck the earth at 40,000 miles per hour and released 2 million times more energy than the most powerful nuclear bomb ever detonated. The heat would have broiled the earth’s surface, ignited wildfires worldwide and plunged the planet into darkness as debris clouded the atmosphere. Miles-high tsunamis would have washed over the continents, drowning many forms of life. Shock waves would have triggered earthquakes and volcanic eruptions. The resulting darkness could have lasted for months, possibly years. It would have plunged the earth’s temperatures into the freezing zone, killing plants and leaving herbivores with nothing to eat. Many dinosaurs would have died within weeks. The carnivores who feasted on the herbivores would have died a month or two later. Overall, the loss of biodiversity would have been tremendous. Only small scavenging mammals that could burrow into the ground and eat whatever remained would have survived. The iridium layer plus the Chicxulub Crater were evidence enough to convince many scientists that the bolide impact theory was credible. It explained much of what previous theories could not. 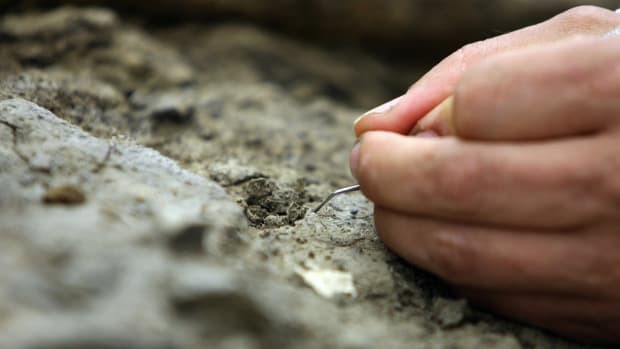 Paleontology remains a competitive discipline even though its central mystery appears to have been solved. 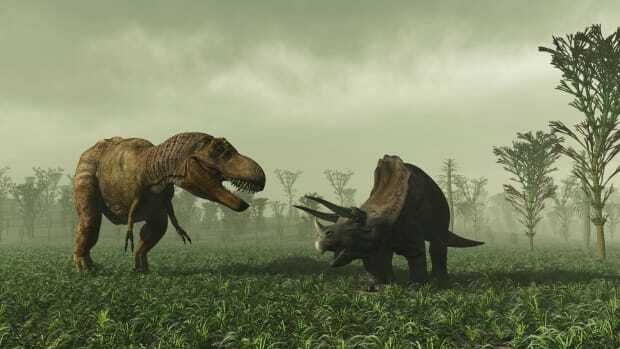 Agreement over dinosaur extinction is far from unanimous, and fossils continue to be found that add to the body of knowledge about how the dinosaurs lived and died. Only recently have birds been identified as descendants of the dinosaurs, and theories regarding dinosaur intelligence and behavior continue to change. Even long-established truths such as dinosaurs’ cold-bloodedness are open for debate. The climate change theory still holds sway over some scientists, who refute that the Chicxulub impact was the sole cause of the extinction. Evidence from the 65-million-year-old lava flows in India hint that a giant, gaseous volcanic plume might have initiated global climate change that threatened the dinosaurs. Scientists’ continued research will help paint a more detailed picture of the ever-changing, ever-evolving planet. 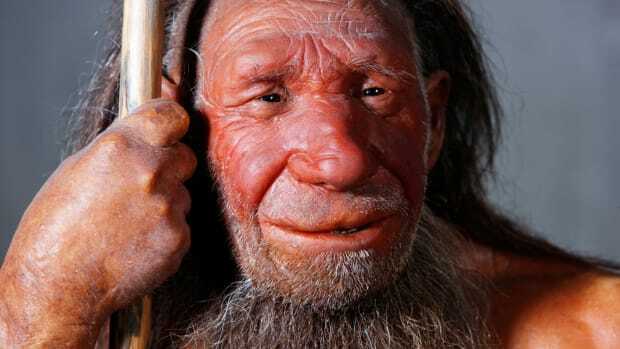 Did Neanderthals Die Out Much Earlier Than We Thought?